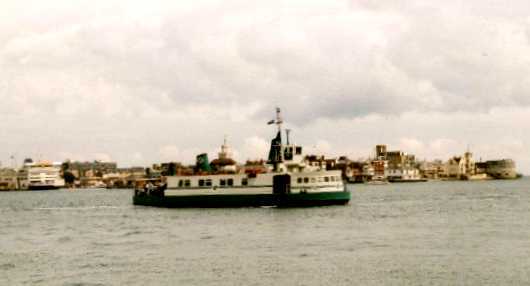 This page has a variety of views of ferries around Portsmouth, it starts with a view of the Gosport Ferry which crosses Portsmouth Harbour between Gosport and Portsmouth Harbour railway station. 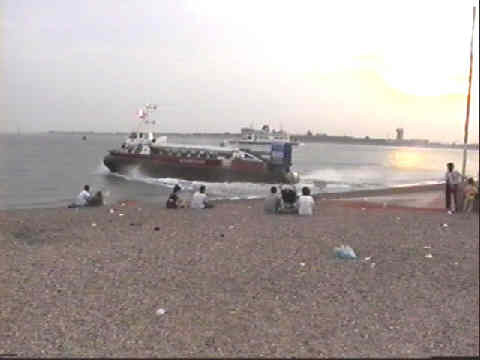 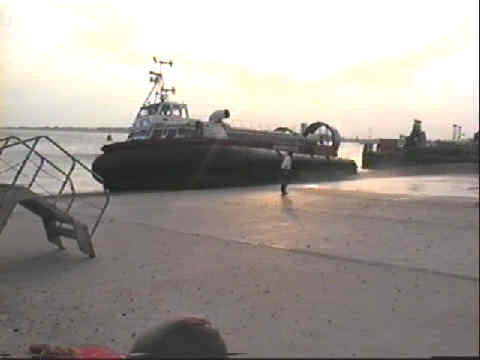 In the left background you can see one of Wightlink's car ferries on the route to Fishbourne. 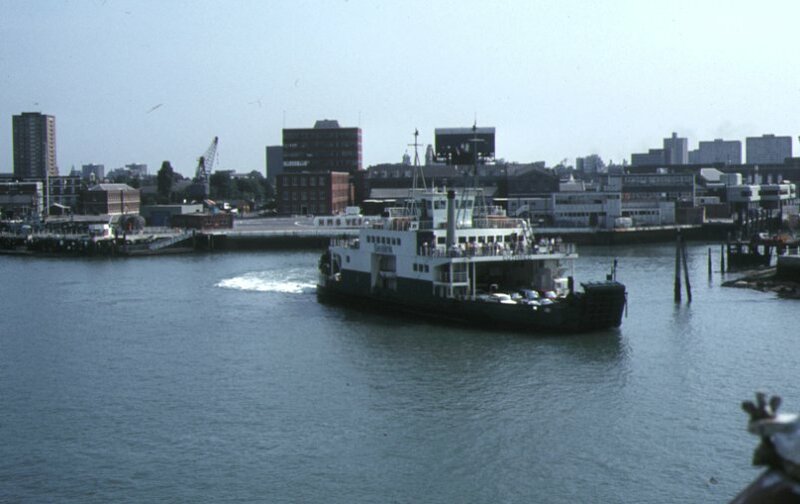 Another view of the same general area is this 1983 photo by Stéphanie Dinez of a Sealink ferry, as it then was, leaving Portsmouth for Fishbourne. 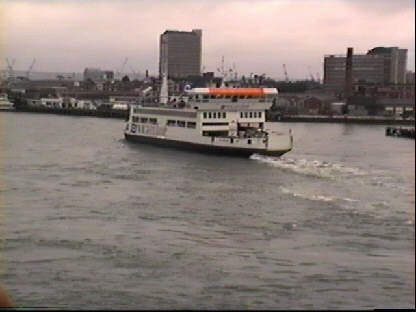 Another view of a Wightlink ferry, this time taken from the Duc de Normandie as we entered Portsmouth Harbour in August 1996. 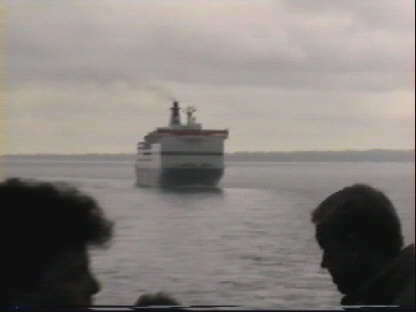 One that could have gone on either of the first two pages, the Pride of Le Havre follows the Duc de Normandie into Portsmouth Harbour. 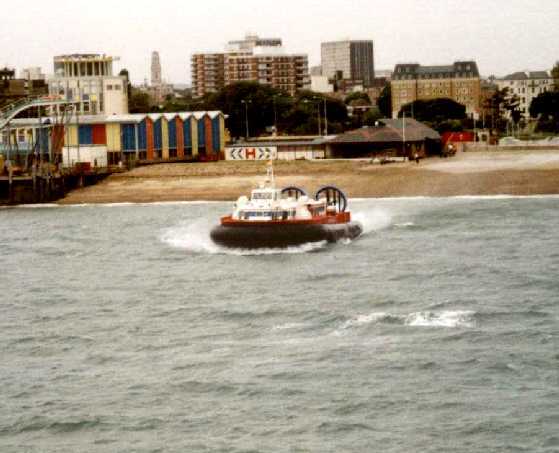 It can then power off at speed for Ryde.